most commonly associated with long distance hiking. Zigzagging its way from Mexico to Canada through California, Oregon and Washington the Pacific Crest Trail (PCT) boasts the greatest elevation changes of any of America's National Scenic Trails, allowing it to pass through six out of seven of North America's ecozones including high and low desert, old-growth forest and artic-alpine country. Indeed, the PCT is a trail of diversity and extremes. 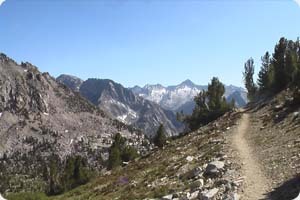 From scorching desert valleys in Southern California to rain forests in the Pacific Northwest, the PCT offers hikers and equestrians a unique, varied experience. The Appalachian Trail (AT) is a more than 2,175-mile long footpath stretching through 14 eastern states from Maine to Georgia. Conceived in 1921 and first completed in 1937, it traverses the wild, scenic, wooded, pastoral, and culturally significant lands of the Appalachian Mountains. 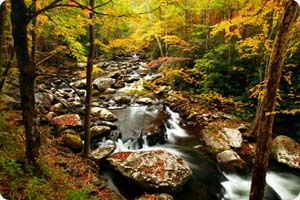 The AT is proudly America's first national scenic trail! 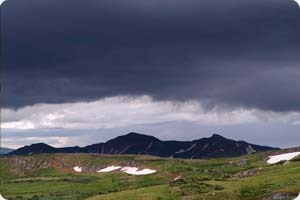 The Continental Divide Trail (CDT) might well be the most extreme of the three major National Scenic Trails. Generally following the crest of the Rocky Mountains from Mexico to Canada, the Continental Divide Trail is something of a work-in-progress and therefore not completely defined in many areas, leaving it up to the individual hiker to navigate and find the correct route.